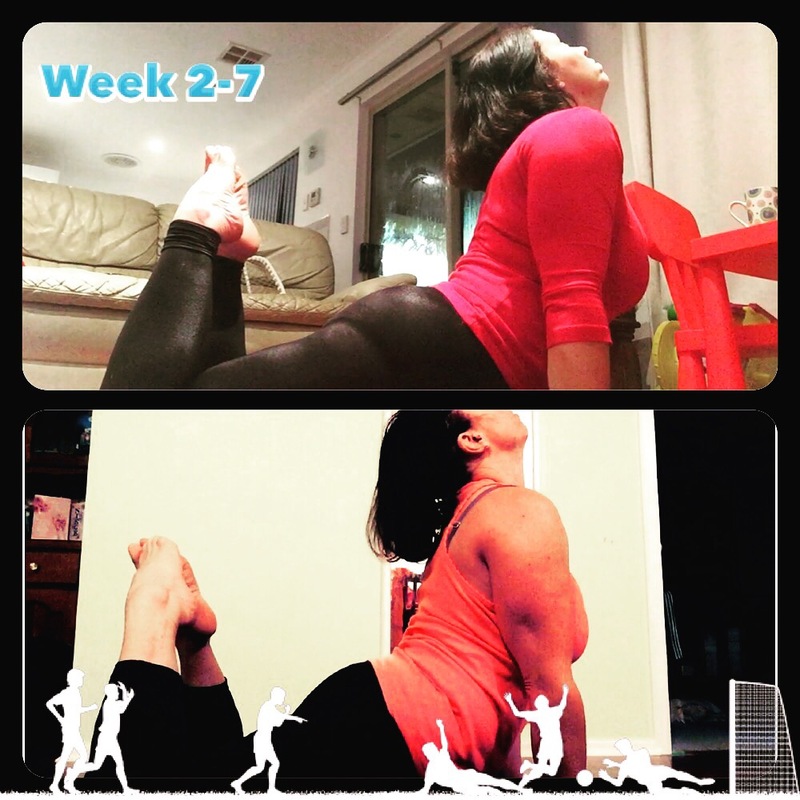 motherhoodfaithfitness | sharing the joys, triumphs and struggles of faith, family and fitness! The bell sounds and lunchtime has ended, only an hour and a half left of the school day and the children can sometimes be tired and grumpy, and looking forward to home time. Sometimes I’ll use this time to catch up on emails, finding out what is going on in the area for parents and children, writing notes home, or getting party invitations or birthday cards ready. If time permits I’ll pop into a class, hang out with the parents at the school gates, or talk to a staff member about their day. On Mondays I run a walking group for parents followed by a coffee and chat time. 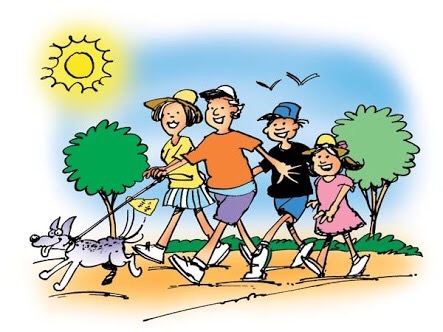 We walk around the neighbourhood and enjoy the fresh air and company, after an hour walk we are ready for our coffee. The times I spend with the parents help me to understand the needs of the families and the wider school community. Food parcels, one on one parent support, referrals to different groups and agencies, or just regularly touching base with their child are all ways of supporting and caring for the families. I have made many wonderful friends at the school, seen babies welcomed into families, year 7s graduate to high school, wept and laughed with this amazing school community. I have run a year 6/7 girls group for the last 5 years, these beautiful girls are a joy to be with. Over the years we have danced, created, painted, discussed, relaxed, dreamed, and talked about the big questions of life, from graduation dresses, to divorce, to cyber bullying to self harm to One Direction. I am constantly amazed at the pressures and worries girls of this age face, and in the light of technology and the ever increasing sexualisation of girls I feel it’s important to keep lines of communication open, discussing frankly and honestly the issues that face young women today. I love pamper sessions, last week we had a guided relaxation and foot massage, and worked together on finding other ways to deal with anxiety. I tried to find a photo I could use for “girls group” and checked out the images on Google…and every photo was of a half naked or suggestively posed group of girls, this is why it’s so important to have these chats and challenge the stereotypes girls face every day in the media and society. These are just some of the activities I get involved in as a pastoral care worker. If you have one in your children’s school, find out what they do, as we are all so diverse and we try to work with the needs and culture of our own school. 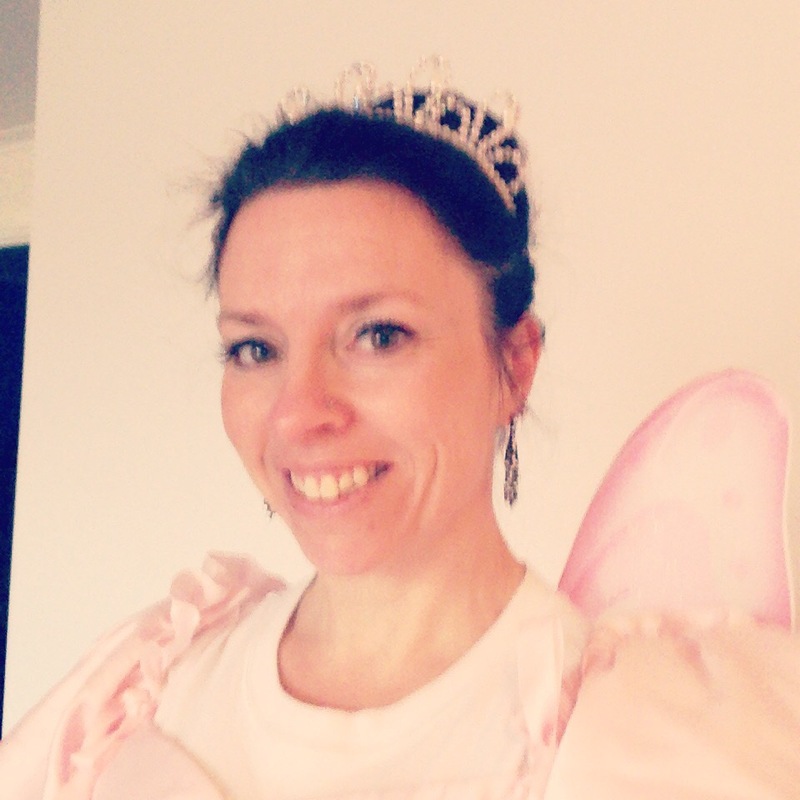 And for a smile…here’s me as the Fairy Godmother for Book Week! Part 2, A day in the life of a school chaplain, Lunchtimes. 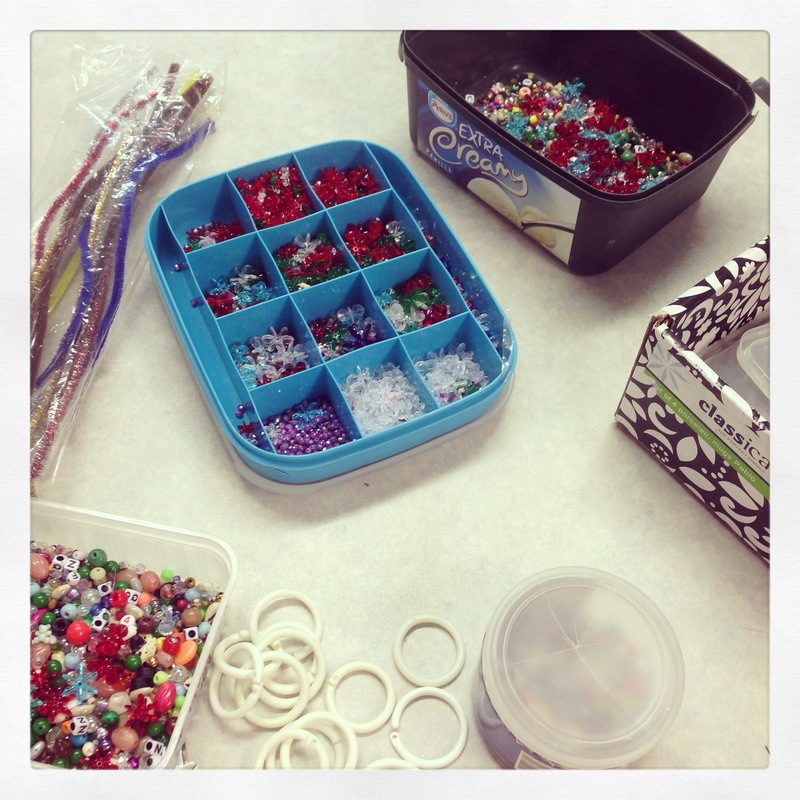 Lunchtime for me depends on the day, on Mondays I set up beading and loom banding in the library. 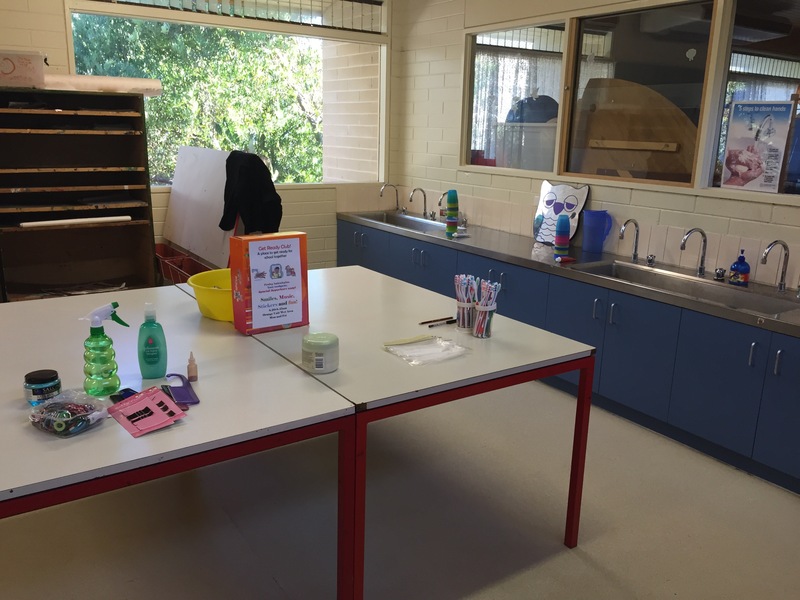 This is a great warm place in the winter months and both girls and boys enjoy creating bracelets, necklaces and key rings for friends, parents and themselves. I have done beading with the children all the years I have worked at the school, I find it is very soothing and relaxing for the students and helps with hand eye coordination as well as being a quick project that can be taken home to show to the family. Beading was always popular with the girls but this term I have seen lots of boys coming in since I brought the loom bands and boards in. I love seeing the bigger students helping the younger ones thread beads, knot the elastic and show them how to use a loom. On Friday lunchtimes I meet a couple of girls for a session based around grief and loss and anxiety. We do relaxation exercises, breathing techniques, chat through stuff and play “Operation” and “Tummy ache” board games. 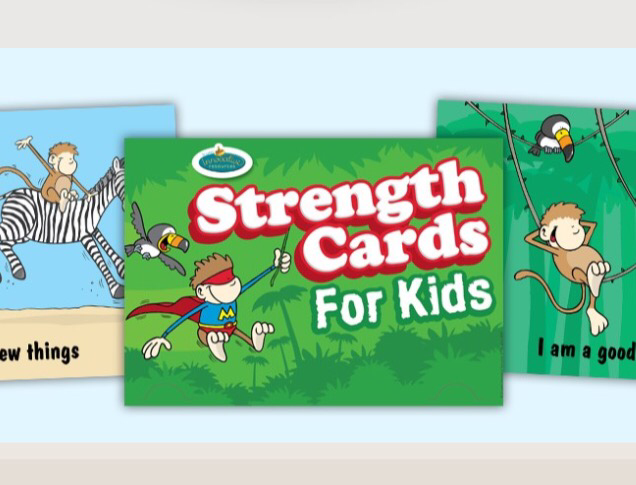 We often use Strengths cards to identify their areas of difficulty and most of all, where they excel and are thriving. One lunchtime a month I celebrate the children’s birthdays who were born that month. This is best lunchtime activity ever! 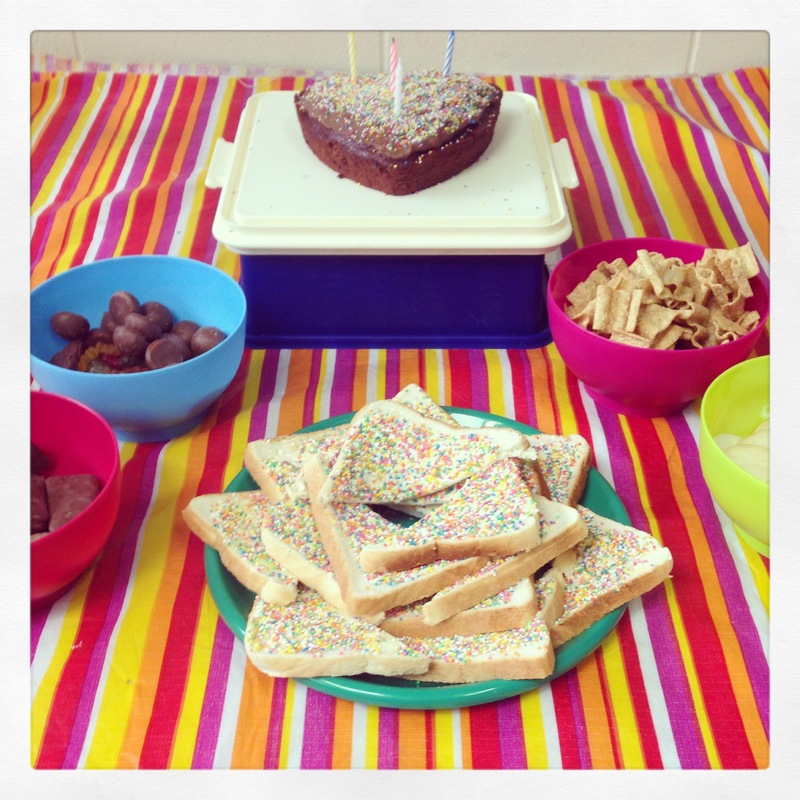 We have fairy bread, chocolate, chips, lollies and a home made cake. The children wait eagerly for the invitation to come out to them the week before. We play pin the nose on the clown, musical statues and find out how they are celebrating their birthday or what they hoped to get for a present. The food is kindly donated by the local church and Foodbank. I make the cake as for some kids it’s the only cake they have for their birthday, so chocolate butter icing and sprinkles are very necessary! At the end of the party the children each get a present from the party box, again donated from lovely members of my church, little cars, bracelets, hair ties, pencils and erasers, small gifts that the children love and are grateful for. I am blessed to have a number of faithful ladies who make birthday cards for the children too. Many children tell me years later they have kept their cards, the power of something made with love and care is tremendous, and the children feel valued and celebrated. The birthday parties have to be one of my favourite roles as a pastoral care worker. I am constantly blown away by how such a simple and easy 40 minute party can bring so much joy and excitement to a child, whether they are 5 or 13! The role of a pastoral care worker is to celebrate each life, and help the children find their value, purpose and hope. A party is a perfect opportunity to show every student they are important and worth throwing a party for! Roll on Friday…it’s the June party!!! School chaplain, Christian pastoral support worker, Pastoral care worker, these are the 3 job titles ive held in the last 5 and a half years of working at a local primary school. The job title changes with every change of government it would seem, so I choose to call myself “friend”. There seems to be a lot of misunderstanding about what a school chaplain does, so I’ll enlighten you about a typical day. I get to school early and run a program called Get Ready Club, where the kids can come, brush their teeth, get their hair brushed and styled, gelled and spiked, plaits, ponytails, and get a little glitter for the day. They earn stickers for each time they come, and can win a prize at the end of the term! I regularly have 20 children a day come through, and it’s a joy to see their happy faces coming in, sharing their news and excited to see their friends in the morning. Get ready club not only addresses the physical needs of keeping teeth clean and hair tidy but provides a social and caring aspect at the beginning of their school day, which for some children is a huge factor in whether they will have a good or bad day. After the bell goes I help run a Playgroup in the school, we are “SA Playgroup” affiliated and have families from both the school and wider community attend. It’s great to see mums, dads and grandparents bring their little ones along. We are a very friendly and relaxed playgroup, with crafts, free play, fruit and music time. The song time is my favourite part of playgroup, playing my guitar along with the merry band of tambourine and maraca shaking toddlers, who love the songs whether I hit a bum note or sing out of tune, a perfect audience! 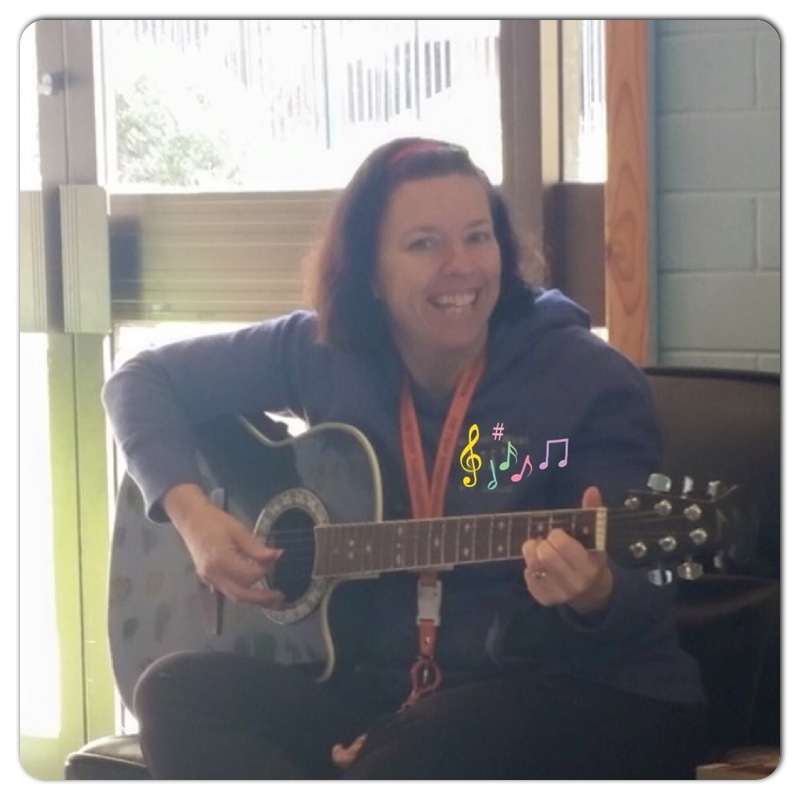 I attended a music and movement workshop last month and it gave me lots of ideas to integrate learning opportunities like numbers and colours into song time as well as songs that use the whole body, dancing, clapping, twisting, using those large muscle skills, and songs that use fine motor skills like Incey wincey, and Twinkle twinkle. After singing the goodbye song, we wave our families goodbye and clean up. I then run a year 6/7 boys cooking group, where I take a small number of boys and we make, bake, chop, slice, and prepare delicious and (usually) healthy food. I try to use ingredients that are fresh and good value. 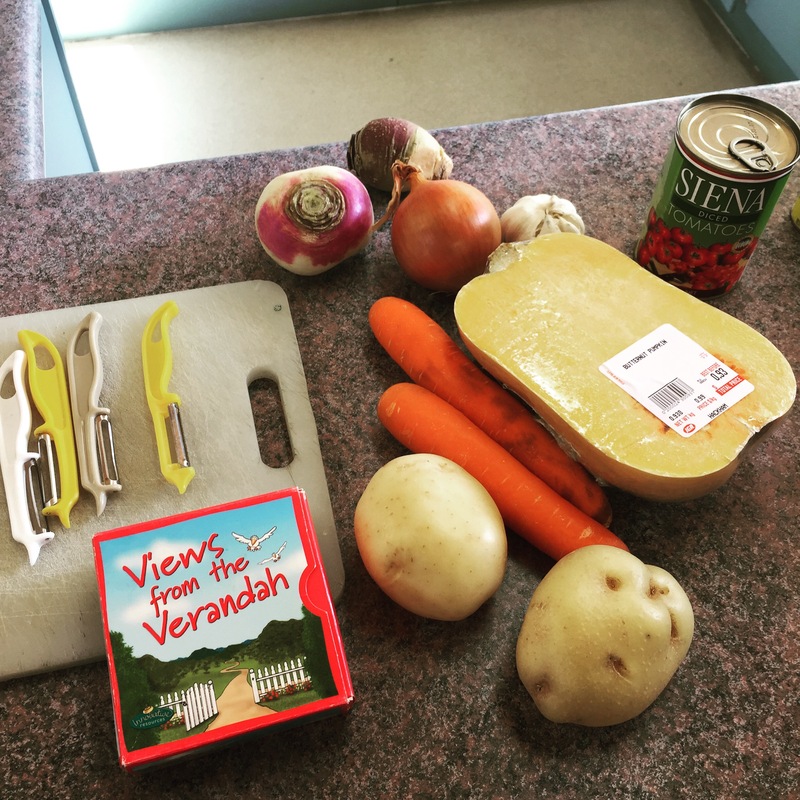 Last week we made a vegetable soup for under $8 and it fed the whole class. Cooking is a great time to connect with these young men, chatting about their day, school, sport, home, girls, crazy movies, games and jokes. I laugh a lot! I love hanging out with these boys, and I know they love eating food, so cooking is a great medium to do both, and it teaches them so many kitchen skills that I’m sure their parents and future partners will appreciate! So that takes us to lunchtime. As you can see a school chaplain supports, listens, has fun, cares and is there for the school community. 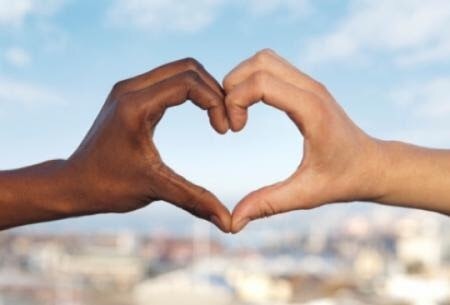 It’s not my job to “Bible bash”, judge, be a holy roly or brain wash people, it’s simply to show love, kindness, respect, and grace, just like Jesus said to. Part 2 to follow….lunchtime and beyond! A little group of women have been meeting in a chilly church office the last few weeks. We have laughed, we have cried, we have been silent and we have talked incessantly (until the timer goes off!) 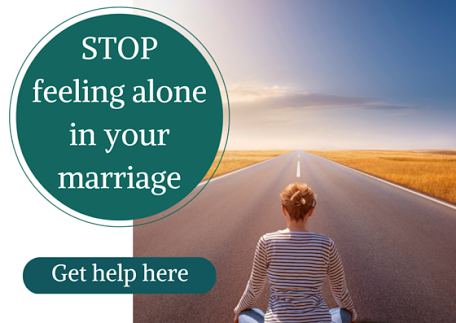 This is Daughters of Sarah, a course that helps relationships, with yourself, with your Hubby and with Father God. So much to learn, so many stories to hear and share. I am finding it both challenging and rewarding, (they kind of go together don’t they?) The daily devotions, the worksheets, the homework, the conversations with loved ones, they all add up to a lot of investment, of time, energy and focus. But with investment comes reward, with labour comes birth, with growing pains comes an enlargement, a development. I am learning so much about not only the brave women who are open and vulnerable about their lives, their families, their marriages, but I’m learning about myself, my life, my family and my marriage. We are all on a journey to deepen those relationships, but most of all to draw closer to the giver of life, family and marriage, Father God. So many of my conflicts and hostile interactions with others could have been spared if only I had lived by these words. 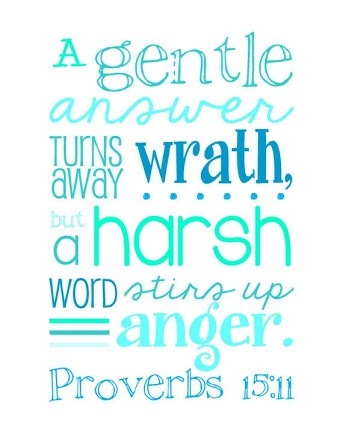 But the past is gone, a new day is ahead, so I’m praying for gentleness and patience. If you are interested in this course you can find details at Nina Roesner’s page or at Greater Impact Ministries. Gym success and first veggies! Came home to whip up homemade beefburgers, potato, bacon and pumpkin cheesey bake and picked spinach and lettuce from my garden! The lettuce was so sweet and crunchy, I can’t wait for my herbs and other veggies to be ready, it’s really quite exciting being a gardener. 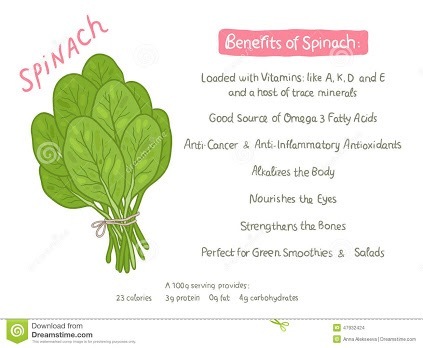 Spinach is a great veggie, for smoothies, salads and I like using it in lasagne too. And I couldn’t link the gym and veggies in a finer way than to finish with this gem! 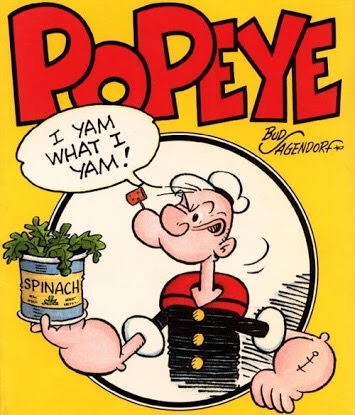 Popeye the sailor man, with his super strength biceps after eating a can of spinach! Flirtations with ditching the carbs! For the last couple of months I have flirted with cutting down on my sugar and wheat intake, exchanging my toast for yoghurt and nuts, sandwiches for omelettes and rice for cauliflower. I say flirting with this way of eating, because I know it’s better for me on the inside and out, but the lure of chocolate and pizza can sometime be very strong! However I found this amazing recipe which helps me with the chocolate cravings and very filling! 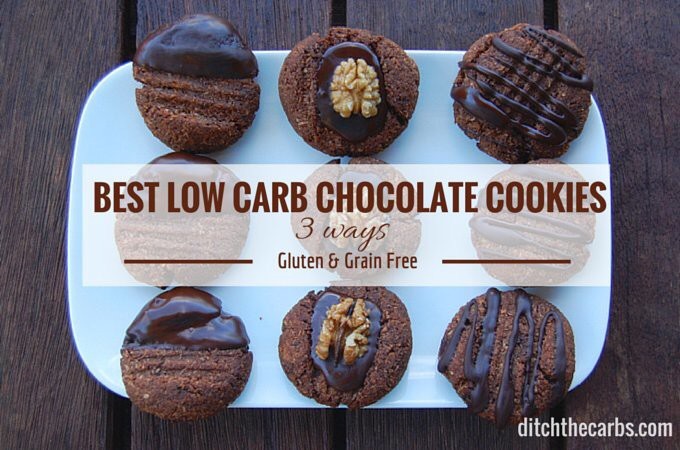 I’ve made these cookies a few times and my grain free/paleo friends have given them a big thumbs up too! And shock horror..the other half and my children like them too! I got the recipe and lots of info from the website Ditch the Carbs. There are some amazing recipes, sweet, savoury, snacks and meals. Next shopping day I’m going to stock up on some of the ingredients for these meals and try to incorporate these into our weekly menu. Ham and egg cups, lamb kebabs, fat head pizza….mmmmm sounds delicious! 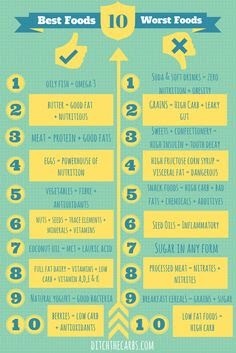 I love the idea of exchanging one meal for a healthier version rather than changing everything and depriving yourself. If I eat good wholesome meals most of the time, I’m onto a winner. Ouch ouch, those pole dance DOMS! My quads have been aching and tight for a couple of days now, I am trying to pinpoint the offending exercise! Was it that 30 minutes of Pilates on Wednesday or could it have been my first pole class of the term? We revised lots of last terms routine and moves and I learnt a couple of new ways to transition from floor to pole. At the time I remarked to the other girls “Ooh I’m going to feel this tomorrow!” Not realising that I’d be feeling the DOMS effect for almost 4 days! I’m not sure if I’m enjoying the pain, but knowing I learnt something new that pushed my body’s limit is always a great feeling of achievement. I tried walking and stretching it out but the soreness is still there. I googled a few remedies and I’m hoping some of these help for next weeks pole class! 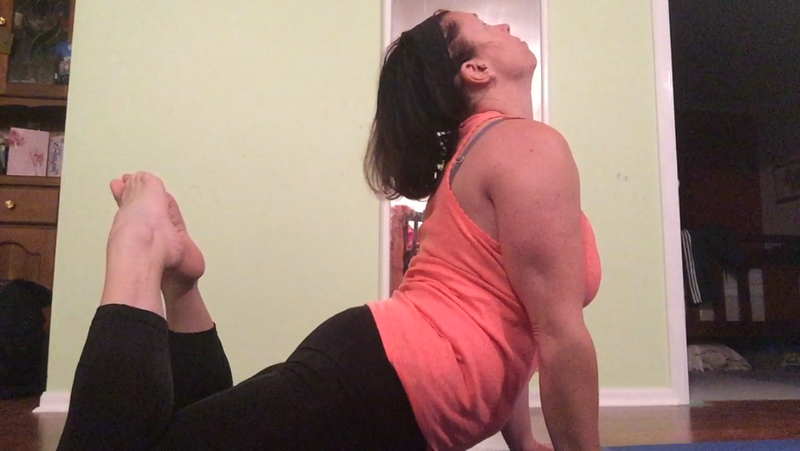 Coffee, massage, stretching, pre and post workout snacks…I’ve got this! 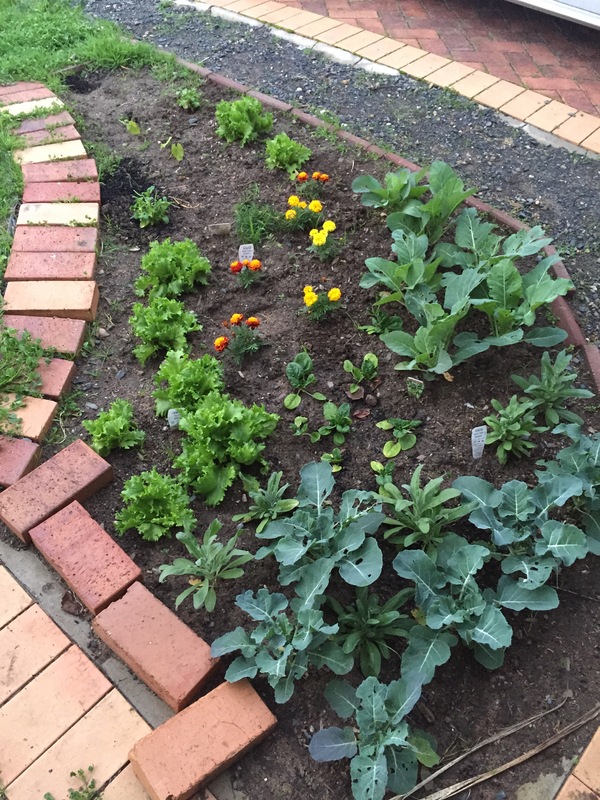 Our veggie patch, outside time and caterpillar squishing! 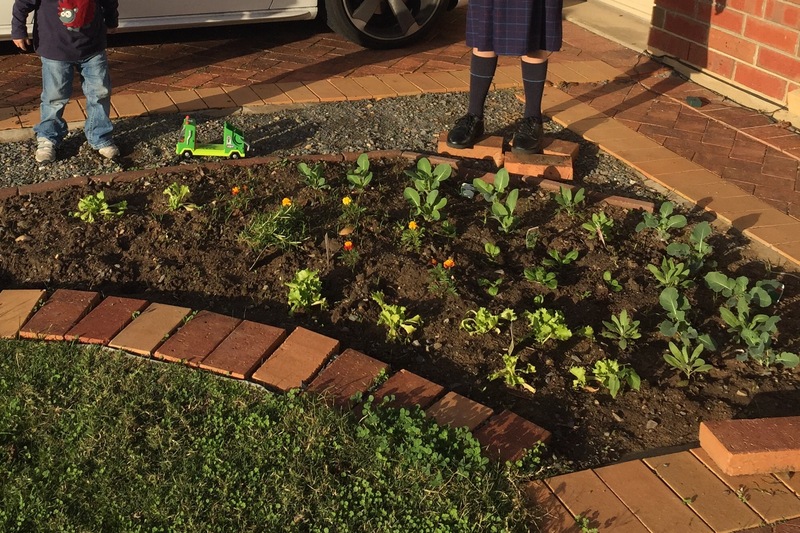 In an attempt to eat more fruit and veggies (number 3 on the 20 things list ), this year we planted a small veggie patch. I dug over a small patch outside our front door (where I couldn’t forget it) added chicken poo from a friend with chooks and waited a day before planting the little green seedlings. 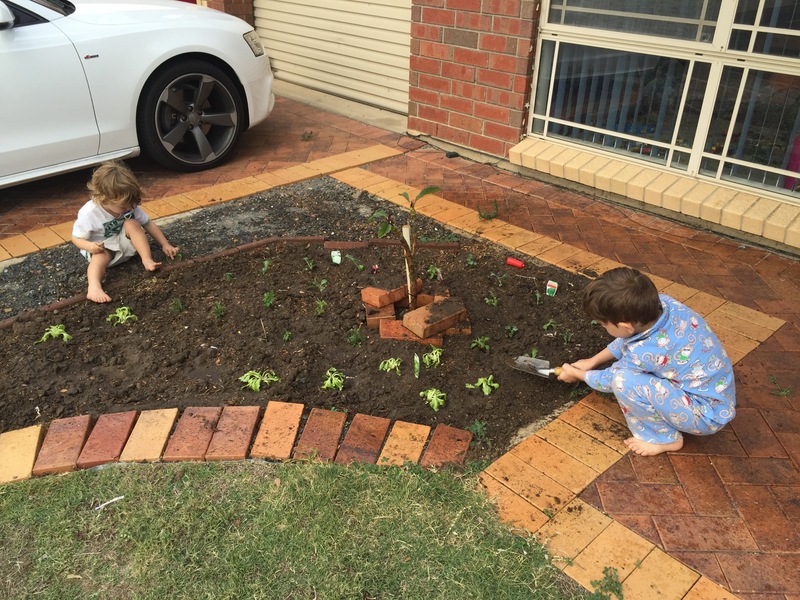 I took my little boys over to the supermarket, where they were selling veggie seedlings. We chose cauliflower, broccoli, baby spinach, lettuce and some flowers to break up the green and confuse the bugs (I’m told that’s companion planting). Here is our before shot. 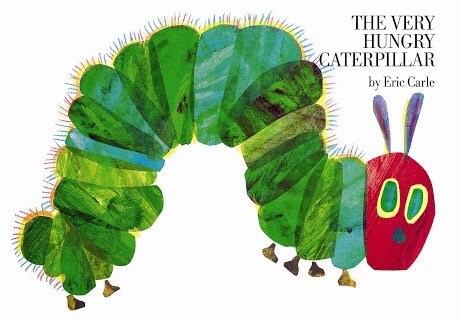 However, I digress… caterpillars are not friends in my veggie patch, they get squished! Our patch is now looking great, we’ve added coriander, rosemary, pansies and a couple of tomato and bean plants have appeared from the chicken poo no doubt. The little patch enjoying some morning sun a few weeks later. Here is what it looks like now,holey cauliflowers and brocolli, but beautiful lettuces, spinach and flowers growing. This is the first time I’ve actually had any success in growing veggies, but having it outside the front door is a definite plus, I can’t forget to weed or water it, and I can pick the produce coming in from the car if I like! The first picture was done on the bed so wasn’t a true start point so here is the week 2 to 7 comparison shot. I’m happy! I’m sure my brief morning stretches have been helping, and even a little progress is still progress! I’m looking forward to be able to do a bridge like the picture above and also be able to get into tricky pole moves that require back flexibility, here is the amazingly flexible Felix Cane’s “cocoon”, yep I may never get that flexy, but wow, that girl is fabulous, and in 10 inch stilettos too! 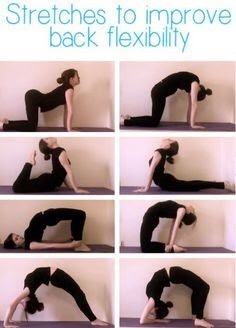 In pursuit of more bendy flexy vibes I went to my first Pilates class at the gym this morning. I was full of anticipation, the instructor was great fun, the ladies were lovely, but it hadn’t even crossed my mind that my dear boy would hate the crèche and I would be called out of class half way through…grrrrr! Still I have pole tonight so I’ll get my exercise fix later! Sleep, free but a mum’s luxury! 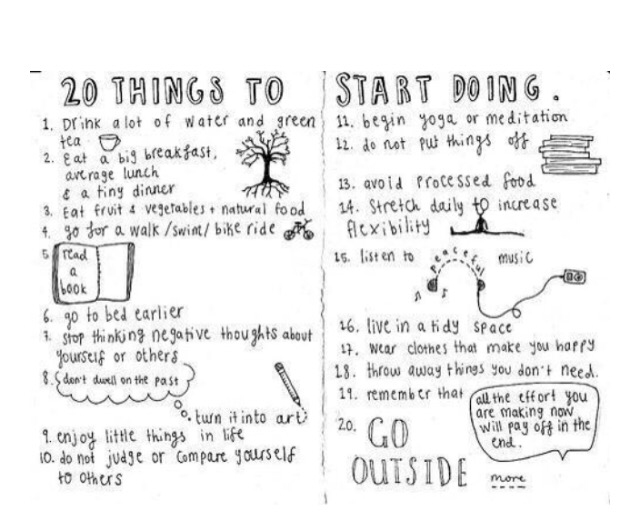 Back in November I posted a list of 20 things that would be beneficial for me to start or continue doing. Here’s the picture if you missed it last time. A fine list to endeavour to follow. My 2 year old son is awake and firing on all cyclinders anytime between 5-5.30am. I have found myself longing to go back to bed mid morning, and if that works and daddy is about, I can do that, but when it’s a work day, or I have several errands, appointments or play dates organised I have to trudge on, wearily. Now I don’t know about you but my mood is severely affected by lack of sleep (or food). Sleep is a great luxury as a mummy, but often at bedtime I’m still bustling about, watching tv, checking facebook, texting friends. So again I’m challenged to get to bed early, switching off the phone and spend that time in a bedtime devotion or writing in my journal. I then wake up a little less irritable and more willing to play cars, pack lunches and stack the dishwasher at 5.30am. I am still using this time to stretch, read my Bible, eat a healthy breakfast and prepare for the day ahead, this is all so much easier when you don’t feel like death! When I have “enough sleep” (that’s an oxymoron right there) I have energy, I have enthusiasm, I’m positive, I recover from sickness of mind and body much quicker, sleep is awesome! I just wish I remembered that on an evening! 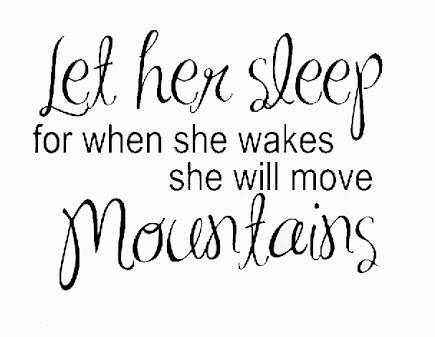 Get sleep and the whole world is a better place!